Free Shipping Included! 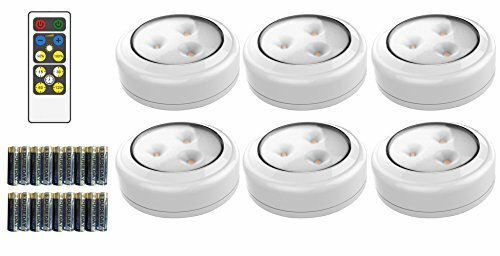 Brilliant Evolution BRRC135 Wireless LED Puck Light 6 Pack With Remote Control - Operates On 3 AA Batteries - Kitchen Under Cabinet Lighting by Brilliant Evolution at EOS Lighting LLC. MPN: BRRC135. Hurry! Limited time offer. Offer valid only while supplies last. The Brilliant Evolution Wireless LED Puck Light 6 Pack With Remote is super bright at 55 lumens. The LEDs are 3000K and give off a warm white glow.